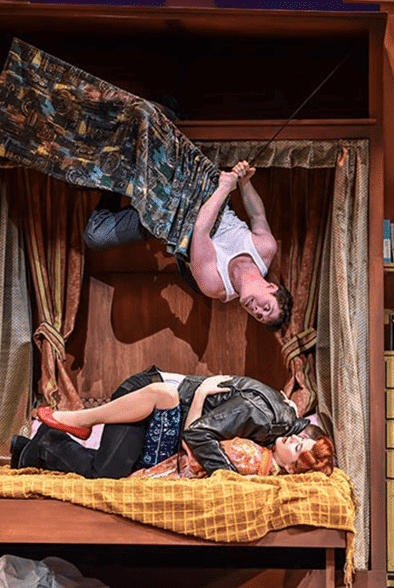 Disclosure – we were given tickets to the play for the purpose of this review. All opinions are honest and our own. A few months ago we went to see The Play That Goes Wrong by the production company Mischief Theatre. 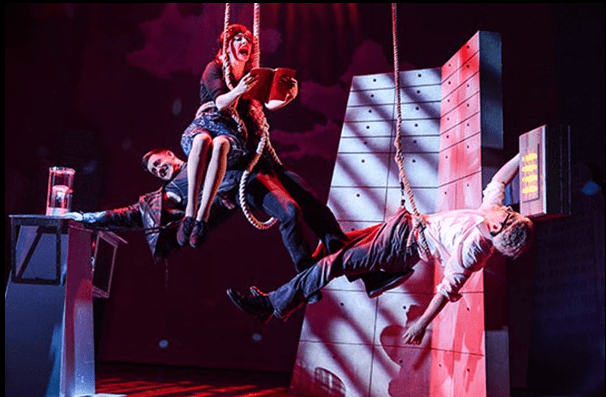 We absolutely loved the show and as soon as we heard that their next production, The Comedy About A Bank Robbery was coming to Cardiff’s New Theatre we knew that we must go and see it. Half of Cardiff also thought the same and the opening performance last night was packed which was really lovely to see. Cardiff’s New Theatre is a real treasure and we love watching shows here. It is centrally located so it’s really easy to get to by car or public transport and it has a wonderful old school feel about it. The New Theatre recently won an award for Wales’ most welcoming venue in the UK Theatre Awards for the second year running which is a testament to how lovely the place is. Anyway, we were really excited and looking forward to The Comedy About A Bank Robbery and we weren’t disappointed! It was a very clever production with some really ingenious staging and it was not short of laughs! 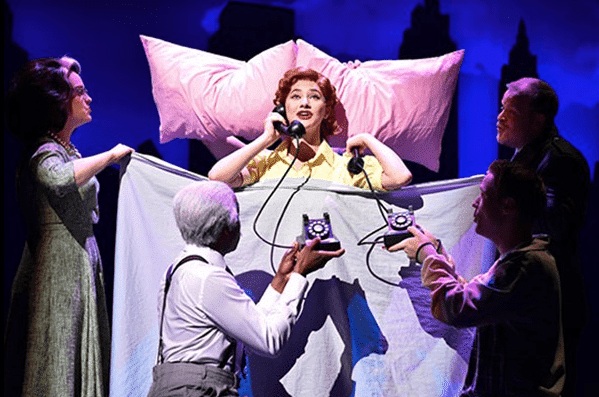 It was lively from start to finish with segments of song, witty jokes and brilliant acting and characterisation, it really was very cleverly done. It was different from the slapstick comedy of The Play That Goes Wrong, it is more sophisticated, the jokes are witty and clever and the set in particular is really impressive, especially the scene where the bank office is seen from above, I’ve not seen anything quite like it before and it worked really well! The characters are well developed and really quite relatable. You feel very sorry for the sweet but simple Warren and no sympathy is lost for the villain Ruscitti. There is also a wonderful little twist at the end which I certainly didn’t see coming! There is plenty of sexual innuendo so be warned if you are thinking of taking children, it is a little risque for younger ones but absolutely hilarious in any event. There were certainly plenty of laughs from the packed audience and everyone seemed to have really enjoyed it. It was definitely a fun night out and a much needed night of fun for me, I would definitely recommend grabbing a mate and having a fun night out watching this show! The Comedy About A Bank Robbery is showing at Cardiff’s New Theatre from the 9th til the 13th October 2018 and you can book tickets online here.